The developers and designers of El Niño Ready Nations (ENRNs) website, the Consortium for Capacity Building (CCB), are an educational, outreach, and networking organization at the University of Colorado, Boulder. Their main focus is on enhancing the value and use of climate, water, and weather information for the betterment of societies and the well-being of individuals and their livelihoods. CCB works in both developed and developing countries to help the most vulnerable societies and populations mitigate and adapt to the impacts of a changing climate. Consortium partners are individuals and institutions working globally on capacity building in water, climate, and society issues. The Consortium for Capacity Building was established in 1974 as the pioneering Environmental and Societal Impacts Group (ESIG) at the National Center for Atmospheric Research. CCB relocated to the University of Colorado at Boulder in 2008 after receiving support from the Rockefeller Foundation and becoming a Clinton Global Initiative Commitment. 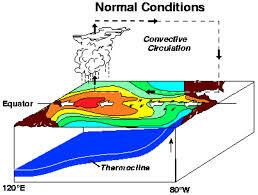 As El Niño draws near in the 2015 season, a troubling question arises: Are National Meteorological and Hydro-meteorological Services (NMHS) and Governments prepared and well-equipped to mitigate the adverse effects of an El Niño-related events? Disclaimer: The views expressed on El Niño Ready Nations (ENRN) are those of the Consortium for Capacity Building (CCB) and do not necessarily reflect the views of USAID or any other supporting/contributing organizations.